Film production and Sales : Prod. : Sania Jhankar, Monomyth Enchantment Inc., 300 EAST 42ND STREET, NEW YORK, NY 10017 (États-Unis), tél. : (646) 246-2549, sania@ilaughicryfilms.com. Despite being a successful software company entrepreneur, Manoj Annadurai always had a strong passion for filmmaking. Director of Media Lab Asia and a noted software entrepreneur, he enrolled in the New York Film Academy. 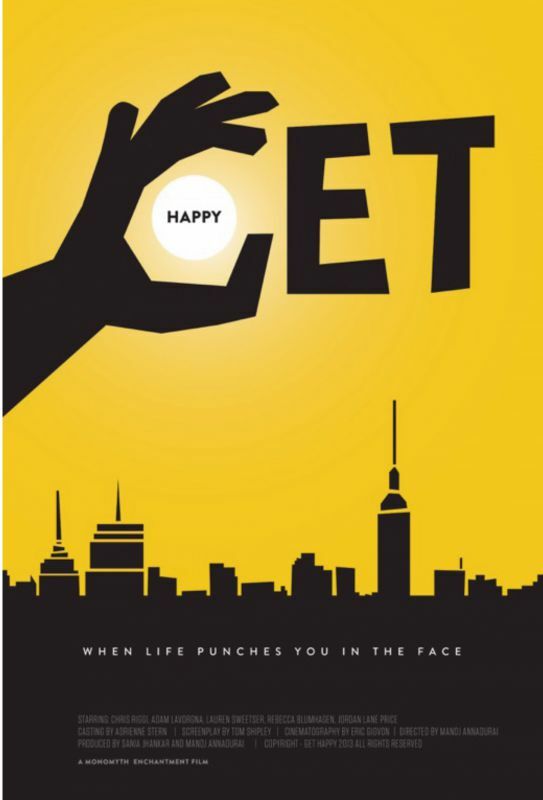 GET HAPPY! is the first result.